In 2014 and 2015 we were limited with our public demonstrations due to the lack of transportation, but that will not be the case in 2016. Newark SAS thanks Damian Decaires of Newark, NJ for the donation of a 2002 Subaru Legacy Wagon. This will ensure our participation in many more community events and public demonstrations of our programs. This vehicle will also help commute some of our volunteers and provide the needed transportation of materials to our gardens. We need to raise $1,500.00 for maintenance expenses by March 15, 2016 in order to pass inspection, and need your support. There are a number of ways you can donate to our cause. It is because of your unyielding support that we are able to host hands-on, educational programs, empower residents, and be an even greater service to our community. 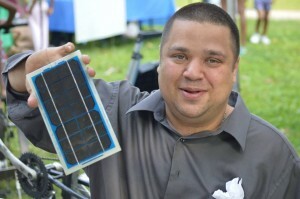 Electrical Engineer and Solar Technician Damian Decaires has been dedicating his life to help achieve a future in which electricity will be free for all through his designs. Amid the effects of global warming, and the ever increase in cheap carbon energy demands, Decaires advocates for how solar energy can move us to a more sustainable future. He is founder of Gridlink Systems. 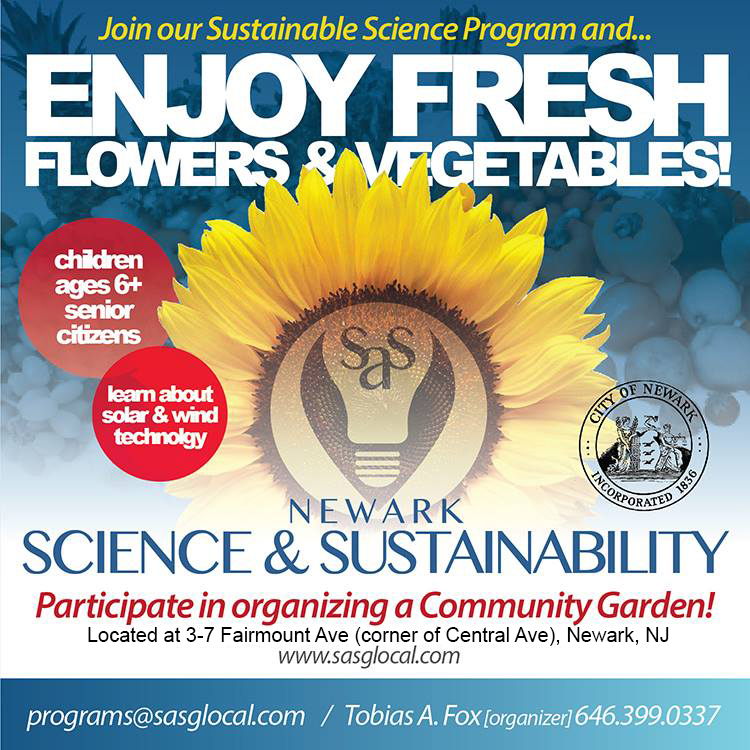 It was Decaires who sparked the inspiration for the conception of Newark SAS and has been a collaborating partner ever since by facilitating solar technology workshops and assisting with the development of our sustainable science program.